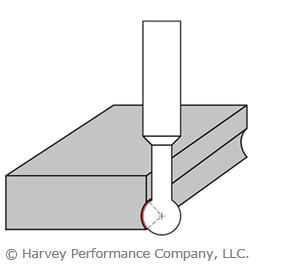 Undercutting end mills, also known as lollipop cutters or spherical ball end mills, are a common choice for machining undercuts. An undercut is a common part feature characterized by one part of a workpiece “hanging” over another. Undercuts are typically difficult, or even impossible, to machine with a standard end mill, especially on 3-axis machines. In many cases, a specialty tool is needed to tackle this feature. 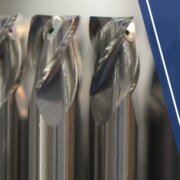 Although they are frequently associated with a singular use, undercutting end mills are actually very versatile tools that are worth keeping on hand for a variety of operations. Unsurprisingly, undercutting end mills are very well suited to undercutting operations. 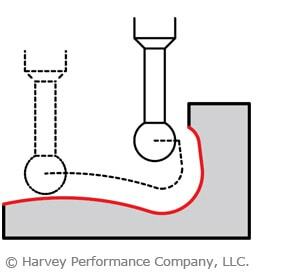 Creating an undercut on a part can be tricky and time consuming, especially when forced to rotate the workpiece. Fortunately, this can be greatly simplified with an undercutting end mill. 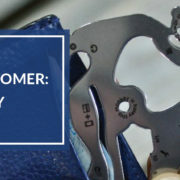 Exactly what tool to use depends on the geometry of the feature and the part. Undercutting end mills are available with a range of wrap angles like 220°, 270°, and 300°. Greater wrap angles are the result of a thinner neck and create a more spherical cutting end. This style offers more clearance at the cost of rigidity. Likewise, undercutting end mills with lower wrap angles sacrifice clearance for greater rigidity. 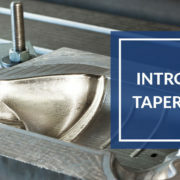 Since undercuts have a wrap angle that is greater than 180°, they are very well-suited to deburring or edgebreaking anywhere on your workpiece, including the underside. 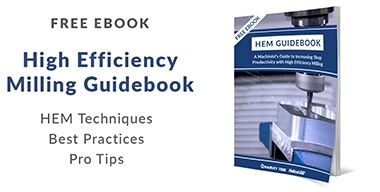 Deburring your parts by hand can be inefficient for your shop – using an undercutting end mill instead will save you time and money. 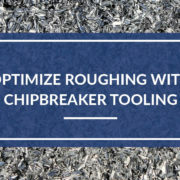 Edgebreaking operations are often a critical final step to create a part that looks and feels like a finished product and that is safe to handle. All undercutting end mills can be used to deburr and edgebreak, which makes them a useful tool to have on hand in any shop. 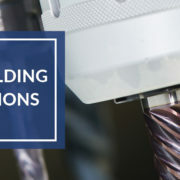 Some manufacturers also offer specialized deburring undercutting end mills that are designed with a right and left hand flute orientation, giving them “teeth” that make them particularly useful for deburring complex shapes. Using a deburring undercutting end mill in a 5-axis machine often makes it possible to deburr or edgebreak an entire workpiece in one shot. Most machinists might not think of undercutting end mills for slotting, but they are fully capable of this operation. 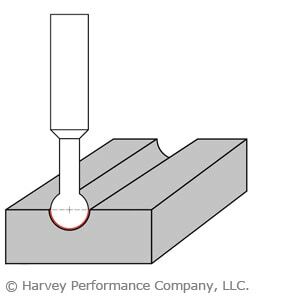 An equivalent slot can be machined with a regular ball end mill, but doing so might not be feasible due to clearance issues – an undercutting end mill has a reduced neck, unlike a standard ball end mill. Additionally, using an undercutter to slot can save time switching to an equivalent ball end mill. Since only 180° of the cutting end can be used to slot, undercutting end mills with lower wrap angles and thicker necks are best suited to slotting. However, high helix undercutting end mills may be ideal if improved finish and increased chip removal are important to the operation. With their wrap angle and increased clearance, undercutting end mills are very useful for both simple and complicated contouring and profiling operations. 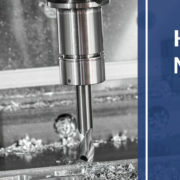 Their versatility means that it is sometimes possible to accomplish the entire operation with a single tool, rather than several, especially when 5-axis milling. Reduced shank undercutting end mills offer the most versatility in complex contouring and profiling operations. The ability to chuck these tools at any depth means that they are capable of maximum clearance. While most undercutting end mills are conceptually similar, there are a few key differences that must be considered when picking the right tool for your job. 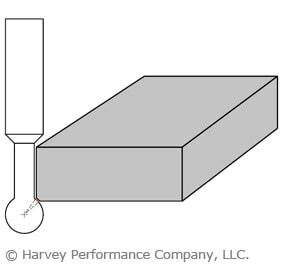 Harvey Tool offers the following undercutting end mill styles as stock standard tools.